Earners of the Microsoft Global Challenger badge completed the 7 weeks course that provides the foundation content and practical application to deliver a differentiated experience for the customer by focusing on teaching the customer something about their business, tailoring the conversation and guiding the customer through the buying process. These individuals have proven themselves to be valuable partners to customers. 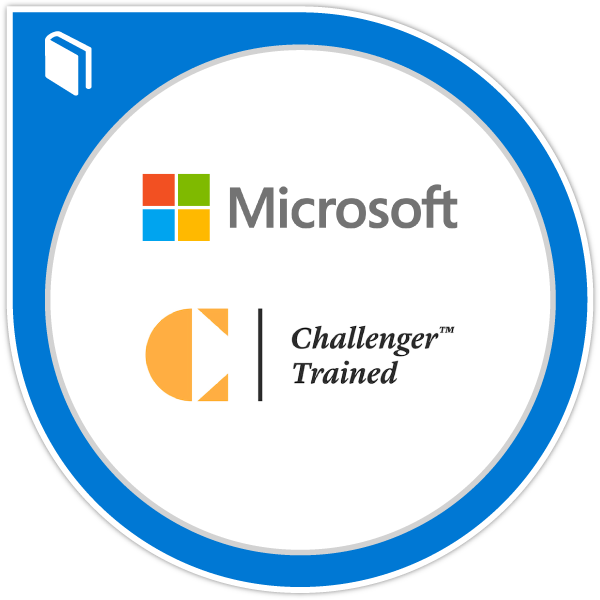 Completed the 7 week long "Be a Microsoft Challenger" MOOC which includes videos, reading materials, a final assignment to outline a customer teaching message that reframes the customer's thinking and receive peer feedback. Demonstrated the ability to develop insights, understand business needs and lead to a solution. Demonstrated ability to build constructive tension that compels a customer to act.